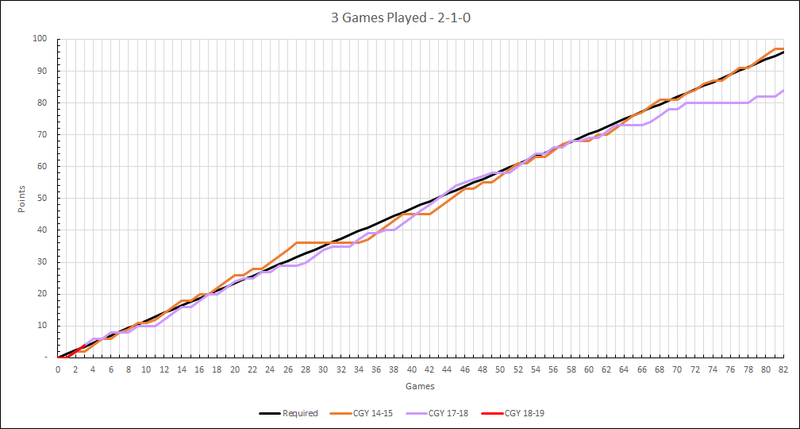 This thread has absolutely nothing to do with Sports Club Stats, nor does it have anything to do with the likelihood or chance the Flames will make the playoffs. Please do not bring these up in this thread. There are many other threads for that purpose. Anyone bringing up Sports Club Stats will be punched in the taint. No team in the western conference has achieved 96 points and missed the playoffs. I am including last year's snake and the last snake to finish above the black line for comparative purposes. After not getting any points in the first game, the red snake has gotten two huge points in each of the last two games. 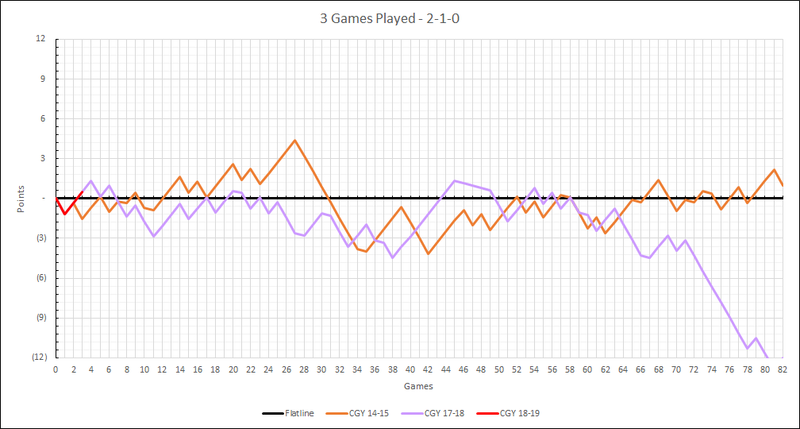 It sits 0.488 points above the black line, is tied with the purple snake, and is 2 points above the orange snake. 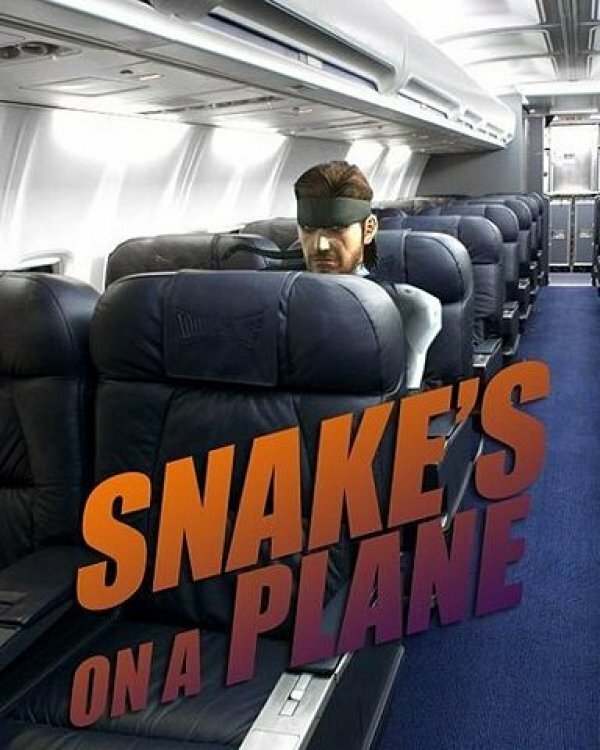 The return of the snek! Personally I like it extra crispy. Yikes was that ever a nose dive last year. What I enjoyed most last year was seeing the oilers fall off below the grid, came back up for a bit, and then fell back down and never resurfaced again. 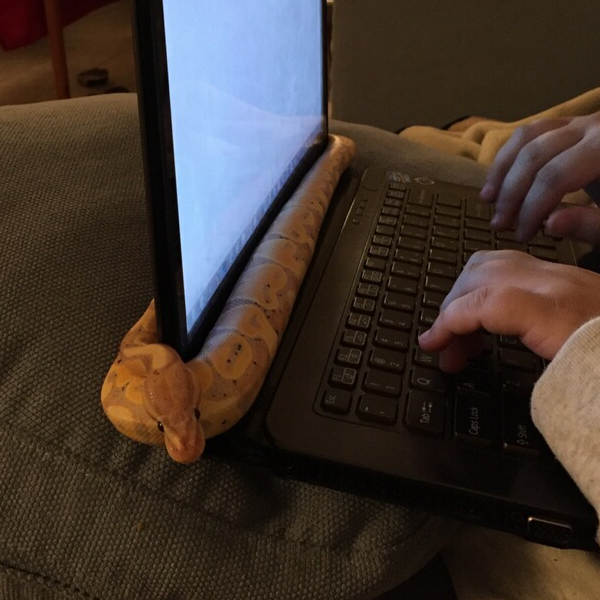 SNEK SNEK SNEK!!! 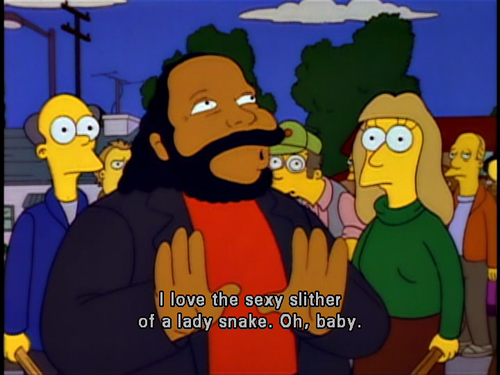 Loves me some snek! Thanks Squiggs. NOW the season has started. 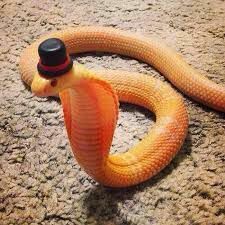 Ah Snek! How I've missed you. I can't wait to see the 19-20 snake next week.